All people wish to avoid nuclear war, but this fact provides little guidance for policy. One reason is a lack of understanding of how a nuclear war might come about or how one could be prevented; much of what is offered as expert knowledge cannot be defended as more than educated opinion. 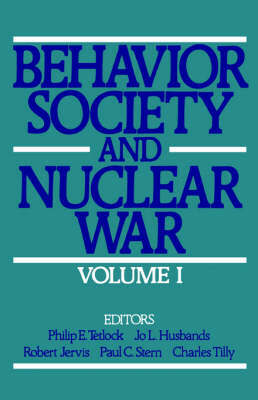 Behavior, Society, and Nuclear War assesses current knowledge to create a basis for new intellectual approaches to the subject of international security that are conceptually rigorous, theoretically eclectic, and methodologically self-conscious. Leading scholars review specific behavioral and social phenomena and processes that may be critical in determining war and peace, including the behavior of decision makers during crises, the pressure of public opinion, the causes of war among great powers, and the processes of international security negotiation. This work was sponsored by the Committee on Contributions of Behavioral and Social Science to the Prevention of Nuclear War, Commission on Behavioral and Social Sciences and Education, National Research Council, National Academy of Sciences.